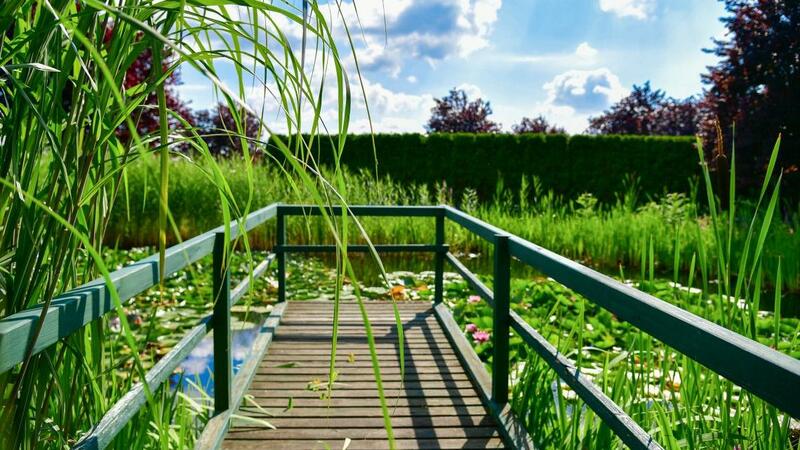 Your 4-star Congress and Spa hotel in the green Spreewald region. Feel the wind in your hair, take a deep breath, relax, find tranquillity and inspiration, indulge with culinary highlights from our region, enjoy plenty of time for yourself and with your family or friends – that’s how your stay at Christinenhof & Spa should be like. Further, the Spreewald region offers a vast of relaxing, sportive and cultural highlights. Our privately owned four-star hotel was built in 2001 and was complemented with a spa area in 2004 and 2006. Today, our guests relax in one of our 43 individually designed hotel rooms and suites. Furthermore, there are professional conference facilities and meeting rooms for up to 100 persons, flexible and elegant function rooms offering a perfect environment for meetings, working lunches, private dining and family festivities up to 300 persons. The green park of our hotel provides various possibilities to hold incentive events and activities or to celebrate your wedding. Christinenhof & Spa is the ideal setting for holding your event and we are delighted to create unforgettable moments for you and your guests. Check our availability for your desired date.